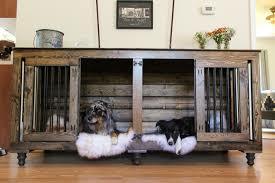 Hello everyone, Today’s topic is going to be doggie crates and kennels for inside and outside. 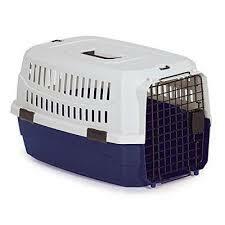 Outside kennels can also be large enough to include a run for your furry friend so let’s get into these, shall we. 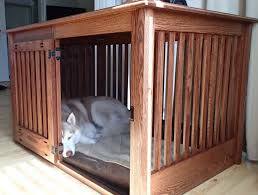 Crates and Kennels can be so useful when you have a doggie or a puppy for many reasons. I would like to take this opportunity to give you some of my opinions on these. Crates are for smaller breed dogs such as teacup sizes, toys, and miniatures and can be used in many different ways. 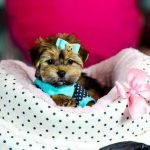 With the smaller breed dogs, they are wonderful to have for transporting them to the vet’s office for an appointment but they can also serve as a safe haven at home. If you want to use a crate for your fur baby whether transporting them or whatever the best thing to do is start using it immediately upon bringing your new fur friend home. This will help them get used to being in the crate and not just reference being put in it to go to the vet’s office causing not only you aggravation in trying to get them into the crate but them anxiety every time you get the crate out. I suggest you get them a nice comfy bed and put it in the crate for them then put the crate in a nice out-of-the-way location so they have a safe haven to hide in. Your little fur friend will appreciate this when company comes to call. 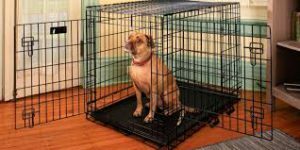 With medium to large or extra large breed dogs then you are looking at a kennel usually made from metal not so attractive as the small crate ones. These are usually used for helping to train your new fur friend along with giving them their own safe place to make it welcoming for them. Using pet beds and comforters for they to lay on can always entice them into the kennel. People who work and need crates or kennels for their animals while away find that making them much more comfortable for their dogs come home to happy fur babies. Some will use the kennel or crate to punish their dogs, please do not do this then your poor baby will equate the crate or kennel with punishment and not find it pleasant to be in. All dogs need their own space and it is up to you to provide them with a safe haven of their own. I am not a person to keep my doggies outside at all whether in a nice kennel or not they were not brought into my care as outside animals. Inside kennels are what I have and use when needed, but my dogs use them as they want to take naps or just get away from the commotion that might be going on. These can also be constructed to give your fur friend plenty of space for exercise with toys to chase around and play with similar to having their own small yard. 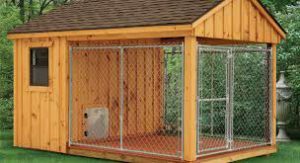 Outside Kennels can also have runs built out from them making it nice for your dog to have an inside/outside experience the inside is usually typically somewhat of a dog type house with a narrow but long fenced in area attached and they can come in and out as they please. Outside Kennels are more expensive than a smaller inside kennel but well worth the investment keeping your pet safe from harm with traffic, other animals, even other people who can intend to do them harm. Some people would find this cruel to crate or put your pet in a kennel but you are not doing this just for you but your animal’s needs are important they need a place to call theirs just like humans need a place to call home their crate/kennel is their house/home. Funny I put this in here when I am going out and put mine in their kennels I tell them to go to in their house mom is going to the store and will be back shortly and they go running in. Like I said do not use them for punishment if you do your fur baby is just going to resent being in their own space so you ended up creating this welcome spot for nothing. 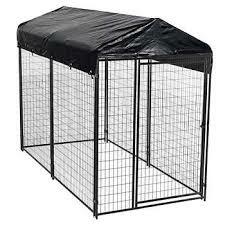 For safety reasons and others, there are plenty of reasons to use crates/kennels for your pets just not punishment. Today people can find so many options in crates and kennels for pets including building some themselves so why not look around and do some research before investing in one of the usual typical ones you can buy either online or in a store. 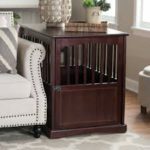 Just, for instance, I have seen some custom-built kennels that are end tables for in the living room of your home that are so nice but very functional for your smaller dog breeds to have a cute safe haven bed all their own. 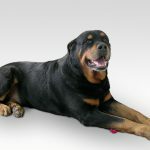 Others for the larger breed dogs are similar to buffet tables one can use in their dining rooms with the kennel built underneath with plenty of room and space. These usually open from one end or the other so you would need to have access to the end, but not always so check some out. Old-fashioned television consoles are being used to create sweet space for small breed dogs and people have gone as far as decorating them with hanging pictures on the walls for their pets. So that is just some of my findings for crates and kennels for inside your home or outside, what are some of your ideas and thoughts for uses in building your own design? I sure would appreciate hearing from all of you if you have built one or are planning to build your very own design. Leave them for me in the space provided below. Welcome, all questions, comments, and suggestions here and if you would like to see a topic listed please just leave it below as well.